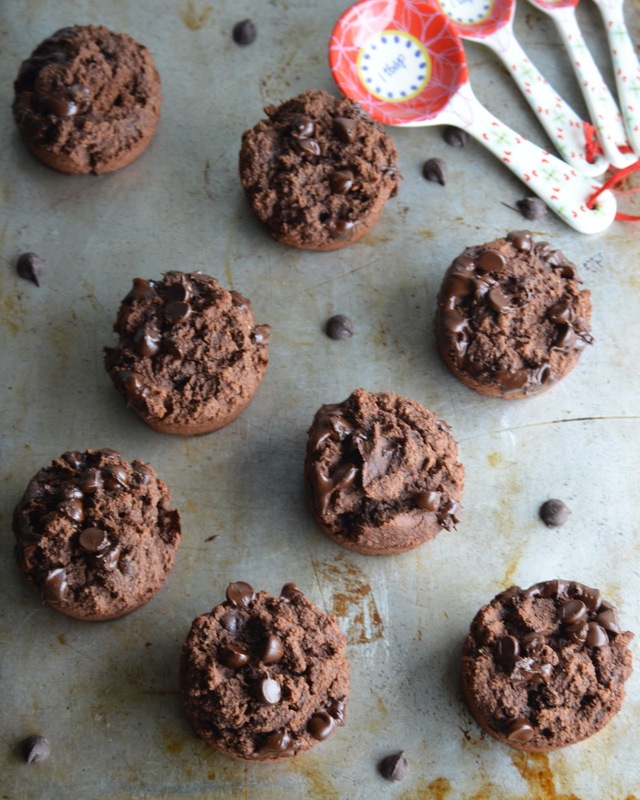 The Wholesome Foodie: Double Chocolate Chip Muffins with Coconut Flour! 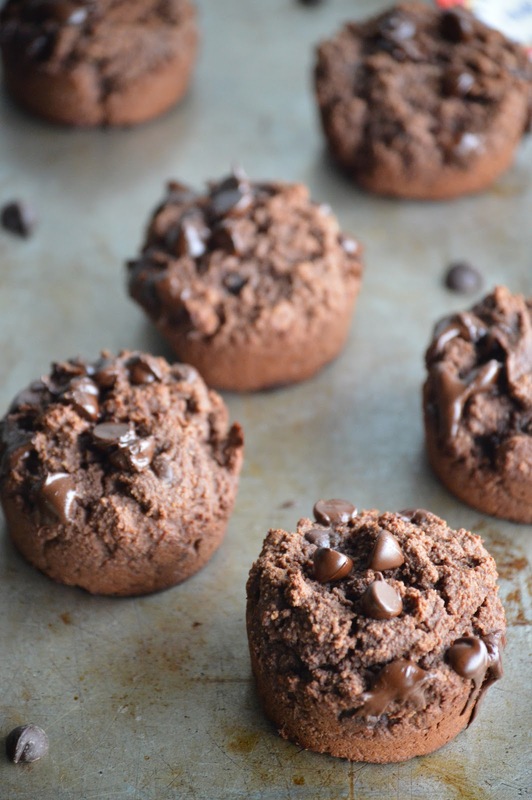 Double Chocolate Chip Muffins with Coconut Flour! I have decided that from now on I am going to try my absolute hardest to post a recipe EVERY OTHER day. This is going to be interesting, but I know it's going to be worth it as I really want to get my recipes out there to you all! In other news, I am in the works of starting up my Kickstarter to fund my cookbook. It has been a LONG time coming, but I think it is time. Figuring out the details of how much I'll need to raise, actually getting the Kickstarter out there, and the rest of the work is going to be time consuming, but I am ready to make it happen! I was really craving chocolate today, and I had lots of coconut flour in my refrigerator, so I decided to whip some double chocolate muffins together, *drool*. These are so delicious. They do come out a bit dense, but that's the name of the game with coconut flour sometimes. I actually really enjoy that in a muffin. I have been trying to bake with coconut flour without using eight thousand eggs for about 2 years now, and I think I've finally hit the nail on the head this time. The best part? They are approved for the 21-Day Fix, the program I am doing right now that has helped me keep my baby weight off! Interested in trying a program yourself and working with me for free? Contact me here! 1. Process all ingredients, except chocolate chips in a food processor. (You can also mix by hand by mixing wet ingredients, then dry, then combining together.) You may need to add a bit more liquid depending. It should look like brownie batter. 2. Line a large muffin tin with 10 cups. Pour in 1 heaping spoonful of batter into each cup. (You may need to redistribute the batter to make everything even. 3. Bake for 15-20 minutes until a toothpick comes out with a few crumbs. 4. Cool in tin for 10 minutes, then transfer to a cooling rack.